Many years ago during Hurricane Katrina, The Weather Channel's live coverage of the event saw a brief on-air exchange where an on-the-scene "reporter" was joking with the anchor back in the studio that he was going to win the office pool by correctly predicting the "eye" of the storm (it was technically Buras-Triumph, Louisiana, although nearby Mississippi must have felt like the eye). As it turned out, the incredible damage caused by Katrina and the subsequent levee breach in New Orleans was horrifying, which is probably why seeing that on-air moment always stuck with me. It occurred to me just how out of touch one can be, chasing hurricanes for the thrill of journalism. 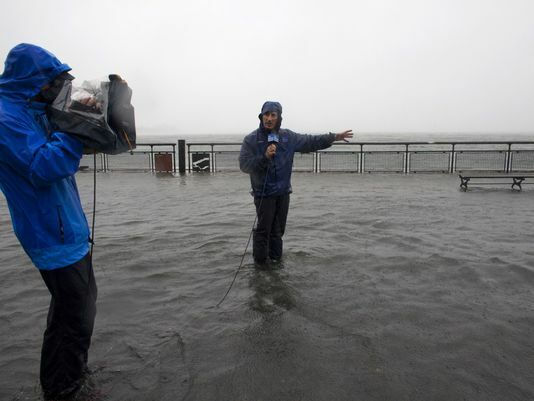 And I am sure the ratings amounted to the Super Bowl for a dedicated weather television channel. Even if the current year features an off-year for the weather station meathead/nerd hybrid types, it is of note that Generac Holdings Inc., which produces generators (also pressure washers and power equipment) is sporting a strong chart, especially after recent earnings. 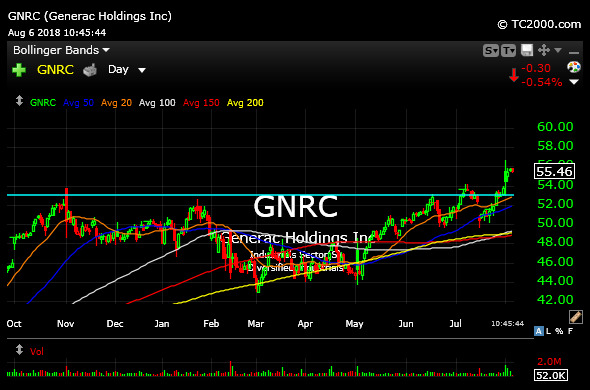 In fact, on the GNRC daily chart, below, we can see a clean breakout above well-defined resistance, busy hurricane season or not this year. GNRC is one of those names we talk about this time of year if the news flow dictates people in coastal areas will likely feel compelled to buy generators. But what the GNRC chart is telling us is that this firm is executing beyond a mere news-drive, special situation stock. I would be looking to stalk 1-3 bull flags and dips above $53 now for a long entry. Elsewhere, an early morning upside reversal in the small caps is giving bulls a shot here at reigniting the market with some momentum. But I want to see it stick a bit more before putting on more long exposure.